In the fall of 2014 we released “Gambit, ” our first expansion to the physical card game. We’re excited to announce that you can now get an enhanced version of that set in your digital app too! Our fans have asked us to bring the expansion to our digital platform, and we’re done that and more. Star Realms: Gambit incorporates both the Gambit set and the Year One organized play promo cards from the physical card game. The game changes in powerful ways with a new type of card — the Gambit. There are nine of them, and each player is given two of them at random to begin the game. When do you use your Gambits? When do you make your move? The war continues, and now the stakes are even higher! The expansion contains 18 cards: one base and one ship per faction, nine Gambits, and one unaligned ship. It also contains thirteen new missions spread across two new campaigns. 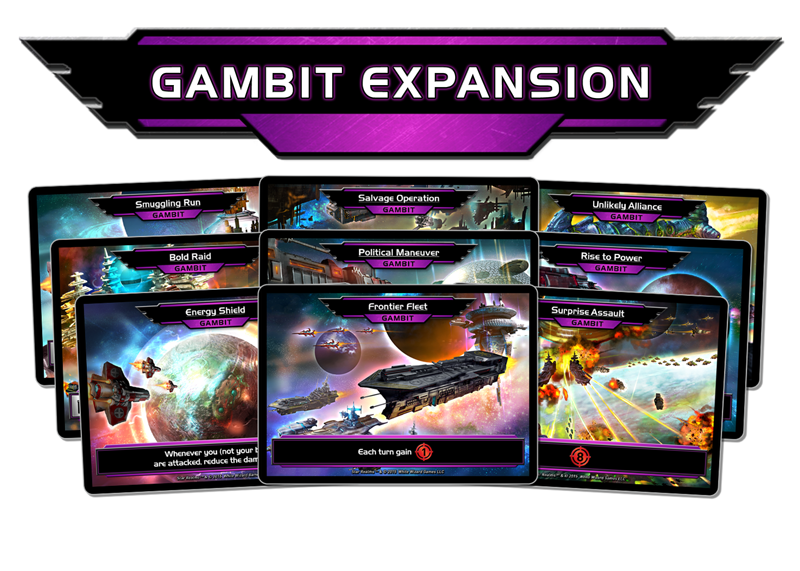 Gambits provide an exciting new way to play Star Realms. Each player is dealt two random Gambits to begin the game. When you need them, they help give you a big boost. Will you Rise to Power? Will you make a Smuggling Run? Or will you unleash a Surprise Assault? For most of the Gambits, you can use them once and then they are gone. Timing is everything! More power, more tricks, more strategy. 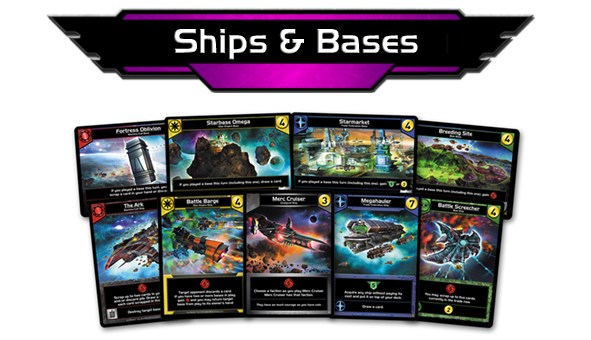 The ships and bases that come with the digital Gambit Expansion are ships that were originally given away at tournaments and events as promotional cards. Highly sought after, these powerful cards add more variety to the trade deck, and can be used together with the Gambit cards, or separate.